WASHINGTON (AP) — Border officials are aiming to more than quadruple the number of asylum seekers sent back over the southern border each day, a major expansion of a top government effort to address the swelling number of Central Americans arriving in the country, a Trump administration official said Saturday. It was the latest attempt to ease a straining immigration system that officials say is at the breaking point. Hundreds of officers who usually screen cargo and vehicles at ports of entry were reassigned to help manage migrants. Homeland Security Secretary Kirstjen Nielsen asked for volunteers from non-immigration agencies within her department, sent a letter to Congress late this past week requesting resources and broader authority to deport families faster, and she met with Central American and Mexican officials. 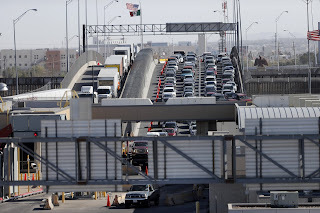 The efforts are being made while President Donald Trump is doubling down on threats to shutter the U.S.-Mexico border entirely, a move that would have serious economic repercussions for both the U.S. and Mexico but wouldn’t stop migrants from crossing between ports. His administration also announced it was cutting aid to the Central American countries home to most of the migrants. 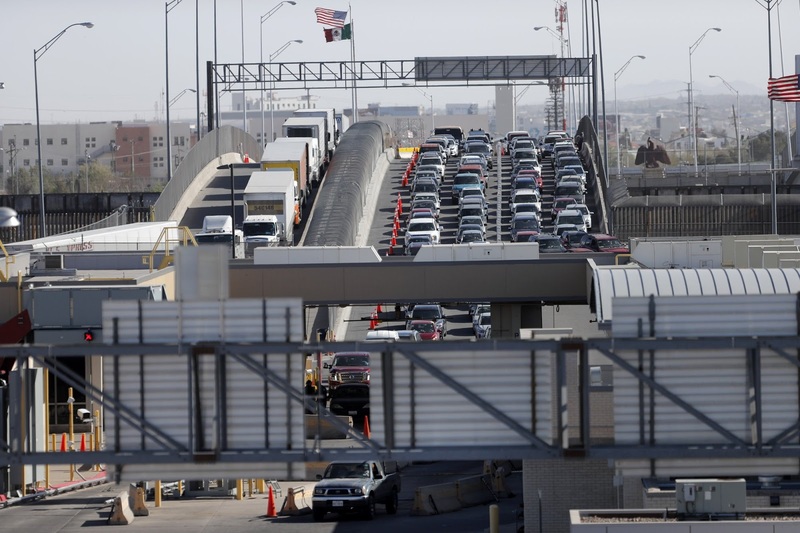 Right now, about 60 asylum seekers a day are returned to Mexico at the San Ysidro, Calexico and El Paso ports to wait out their cases, the official said. They are allowed to return to the U.S. for court dates. The plan was announced Jan. 29, partially to deter false claimants from coming across the border. With a backlog of more than 700,000 immigration cases, asylum seekers can wait years for their cases to progress, and officials say some people game the system in order to live in the U.S.
Officials hope to have as many as 300 people returned per day by the end of the week, focusing particularly on those who come in between ports of entry, said the official, who had knowledge of the plans but was unauthorized to speak publicly and spoke to The Associated Press on condition of anonymity. But the process so far has been slow-going, and such a sizeable increase may be difficult to achieve. The plan has already been marred by confusion, scheduling glitches and an inability by some attorneys to reach their clients. In San Ysidro alone, Mexico had been prepared to accept up to 120 asylum seekers per week, but for the first six weeks only 40 people per week were returned. Plus, U.S. officials must check if asylum seekers have any felony convictions and notify Mexico at least 12 hours before they are returned. Those who cross illegally must have come as single adults, though the administration is in talks with the Mexican government to include families. Children are not returned. Homeland Security officials have been grappling with an ever-growing number of Central American children and families coming over the border. Arrests soared in February to a 12-year-high and more than half of those stopped arrived as families, many of them asylum seekers who generally turn themselves in instead of trying to elude capture. Guatemala and Honduras have replaced Mexico as the top countries, a remarkable shift from only a few years ago. Migrants from Central America cannot be easily deported, unlike people crossing from Mexico. Mexico has been treading lightly on the subject. After Trump lashed out, saying Mexico and the Central American nations were “doing nothing” about illegal immigration, President Andres Manuel Lopez Obrador said his country would do everything it could to help to maintain a “very respectful relationship” with the U.S. government and Trump. Meanwhile, Nielsen sent a letter to the heads of other agencies within her sprawling, 240,000-person department, asking for volunteers to help with border duties. And she wrote to Congress asking for more temporary facilities to process people, more detention space, and the ability to detain families indefinitely and to deport unaccompanied minors from Central America. While children from Mexico can be returned over the border, laws prohibit deportation to other countries. “Democrats reject any effort to let the administration deport little children, and we reject all anti-immigrant and anti-family attacks from this President,” House Speaker Nancy Pelosi said in a statement.